Our last post discussed web site speed i.e. the time it takes to load a page once the reader clicks on a link to your site. There are added aspects to consider. For example if your site uses a contact form. Some templates come with a built in contact form. While others will need a plugin to add this feature. Test the contact form for speed of response, for ease of use and results in terms of customers and readers filling in the form. Remember to respond to them immediately. Even if it is an automated response it is better than nothing at all. You will need to followup within 24 hours with a real response. Otherwise you risk getting bad comments on various boards etc. This includes those people who post comments on various topics. Respond to them, even the negative ones. Other readers will gauge your response and decide if they wish to contact you after reading how you handle even the negative responses. If it applies a digital book might be the answer to retain loyal customers and keep them coming back. For example we have not done this yet on our site, we are just getting started, but stay tuned we will have one sometime in the future. We also blog consistently talking about various topics that are of interest to our readers and to small business owners who are looking for information about building, maintaining and operating a web site. Operating a blog or a web site involves changing content, upgrading plugins and themes all of the time. As these elements change, they sometimes stop working the way they should and the only way to find this out is to always test after making a change to confirm that everything is still working the way it should. Set up a regular testing methodology to ensure that the content is being delivered the way you wish and the plugins are doing what they are supposed to . Fix any negative test results immediately to minimize the impact on your customers. We thought it is important to emphasize web page load speed one more time. There are many locations along the path between the server were you web site is hosted and the user or person loading your page. There are a multitude of hops that have routers processing yours and millions of other bits of data. If one of those routers is over loaded or running a bit slow, your page will not load quickly. Same thing if your server is overloaded. The first thing to do is to run a test called Tracert. Basically it will check the response time for all hops between your web site and your location. If there are locations including your server that are responding slowly, it will be shown. You can then decide if any action should be taken and where to focus your efforts! For more topics on customer satisfaction, click here. You have improved the content of your companies web site or blog, it is fresh and accurate, there are lots of products covered and you have added all of the information that your clients and customers may need to help them decide on using your firm or contacting your firm for more information. But calls and contacts are simply not coming through and you are beginning to wonder if the investment in this web site was worth it. There are many different attributes that will determine if customers will come to your site and then stay there to browse your material. By having excellent original content you have satisfied the search engines, but have you done enough? Once your potential readers or customers have been presented with search results that include your web site, the next step is for them to click on the link and be presented with the results. Many web sites are slow to respond for a variety of reasons. In some cases it is the server that it is running on that is slow. In others it can be a network issue. It might even be the readers last mile or modem at their location. Regardless, if it takes longer than 3 seconds to load a page, many people are just going to move onto another site and you have lost them forever! The server and the configuration of your web site is within your control, while the other elements are not. Take the necessary steps to make sure that you are paying for a high response time server. Tthen design your web site to be as fast as possible. Delete any plugins that are not being used. Compress images before uploading to your blog. Delete anything that is not being used so that your blog can run as fast as absolutely possible. There are all types of templates available. Some are more complex than others and some will load faster than others. Keep it as simple as possible. Test a lot until you have a template that delivers the content in an efficient manner that is satisfying visually to the customer. Keep testing to ensure that the theme and template work well with your server. 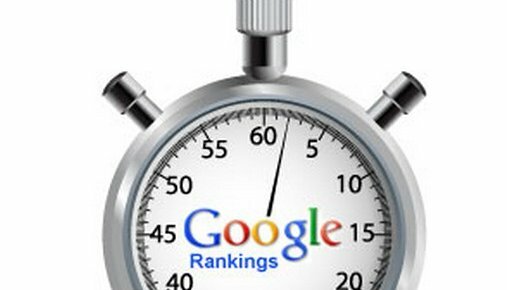 Remember the 3 second rule and if your site is not loading within this time frame you could be losing customers. For information on customer satisfaction information, click here.